VIII.1.3 Pompeii. December 2005. Entrance on Via Marina, looking west. VII.16 Pompeii. Via Marina. December 2006. 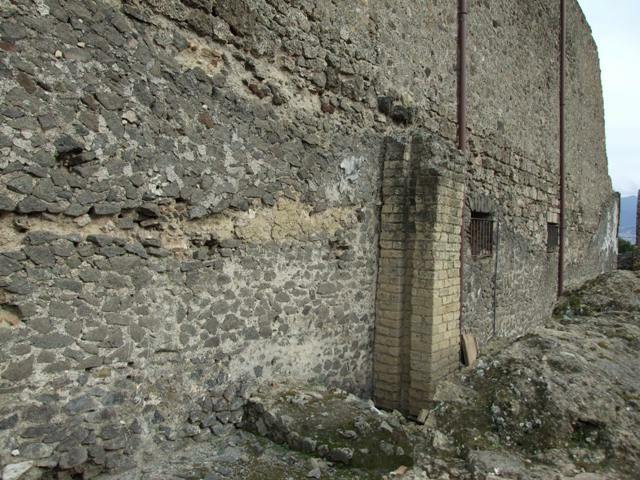 North exterior wall of Temple of Venus VIII.1.3. VIII.1.3 Pompeii. January 2010. Looking east out through entrance. Photo courtesy of Rick Bauer. VIII.1.3 Pompeii. January 2010. Looking west from entrance. Photo courtesy of Rick Bauer. 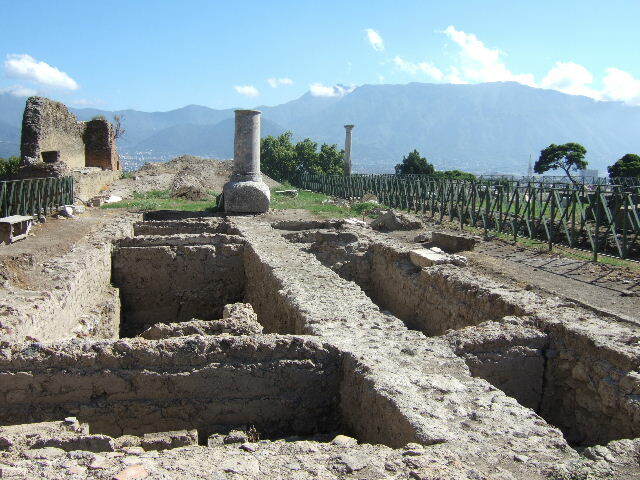 According to Garcia y Garcia, one of the best descriptions of this temple was made in A. Mau: Pompeii, Its life and arts. See Mau, A., 1907, translated by Kelsey, F. W., Pompeii: Its Life and Art. New York: Macmillan. (p. 124-129). When this temple was discovered it was totally ruined due to the AD62 earthquake. 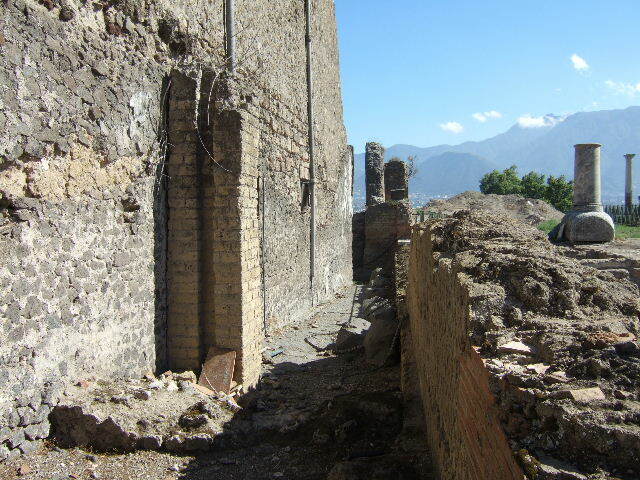 It was in the process of being reconstructed by the ancient Pompeians. The excavations were then bombed on 24th August 1943 causing the demolition of the foundation of the portico, to the west, south and east. The north and south sides of the foundation of the temple were hit again in the night raid of 20th September 1943. VIII.1.3 Pompeii. W.1606. 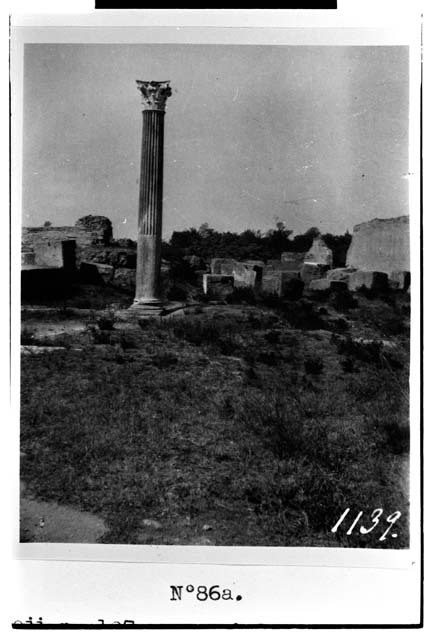 Looking west towards column in Temple of Venus. VIII.1.3 Pompeii. September 2005. 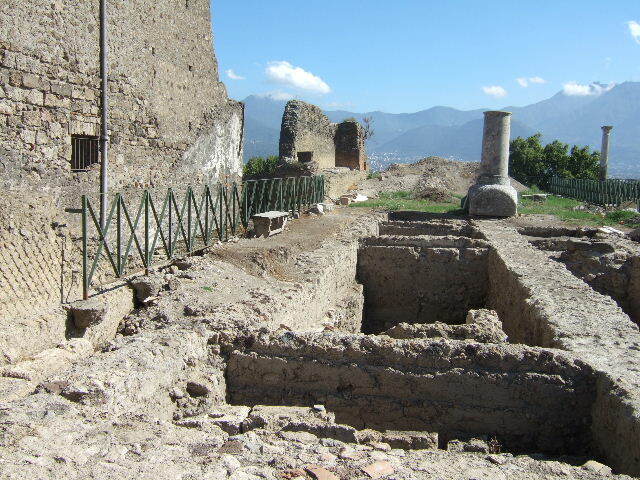 Looking east towards rear wall of Basilica from Temple of Venus. VIII.1.3 Pompeii. March 2009. 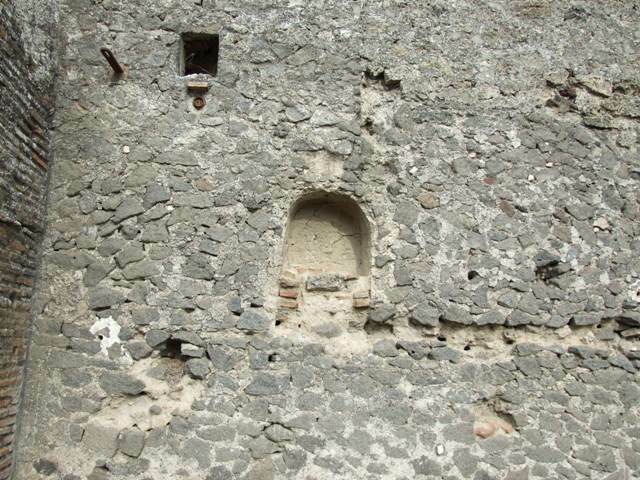 Niche in rear wall of Basilica from Temple of Venus. VIII.1.3 Pompeii. March 2009. 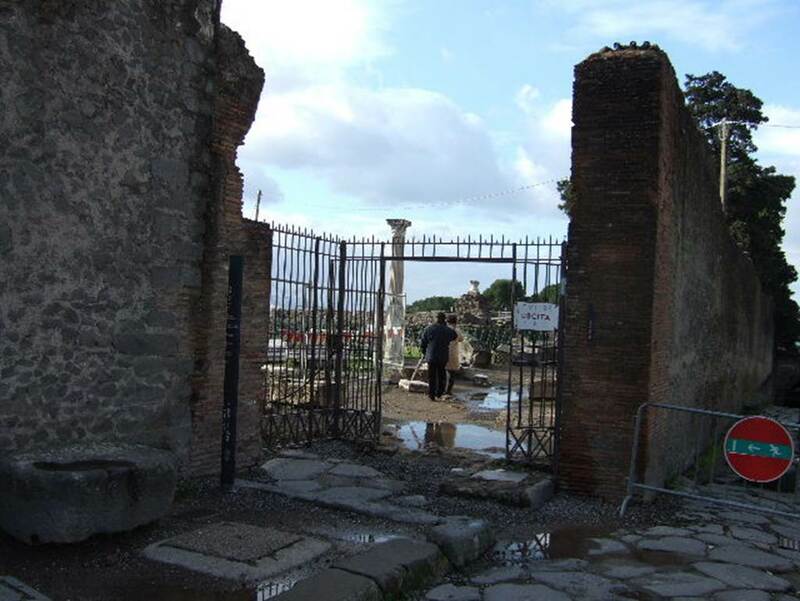 Road between Basilica and Temple of Venus near VIII.1.5. 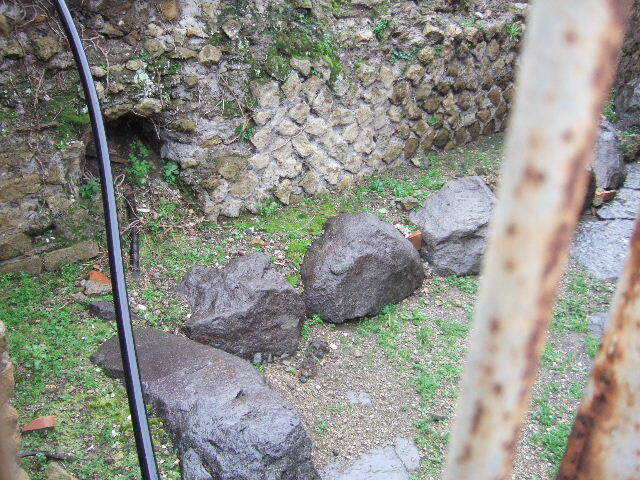 Remains of water supply column against west wall of Basilica. VIII.1.3 Pompeii. September 2005. 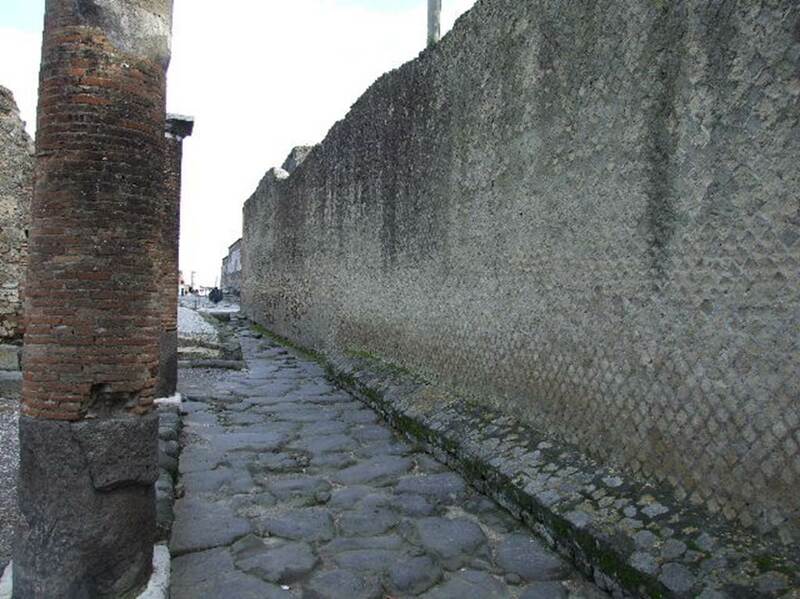 Road between Basilica and Temple of Venus, looking south. VIII.1.3 Pompeii. December 2005. 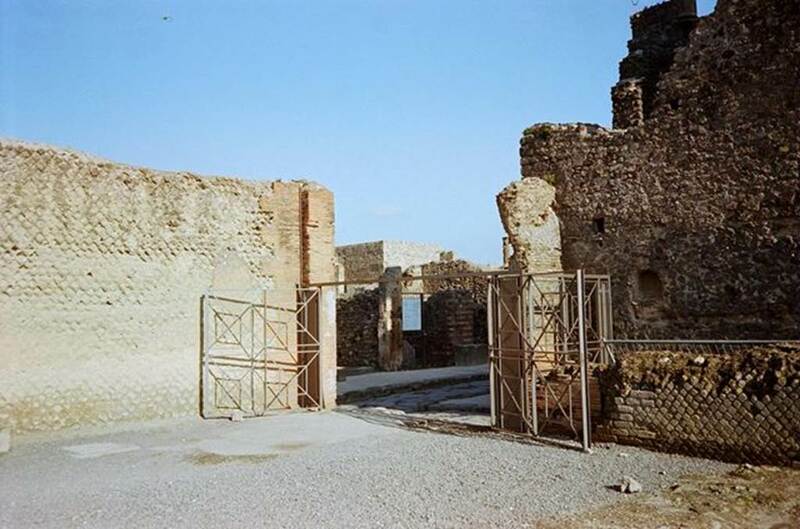 Road between Temple of Venus and Basilica. 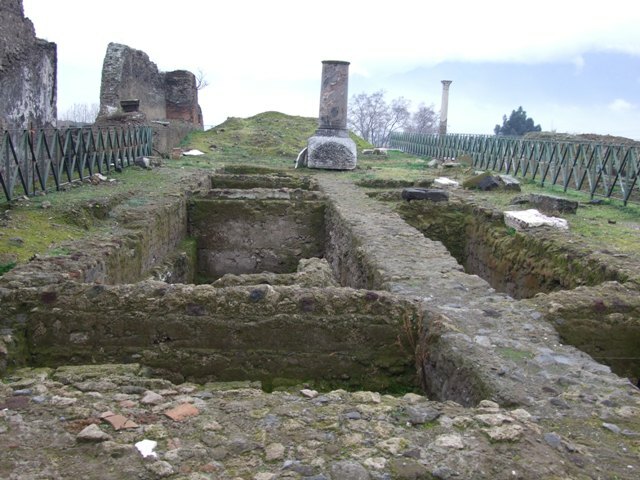 VIII.1.3 Pompeii. January 2010. 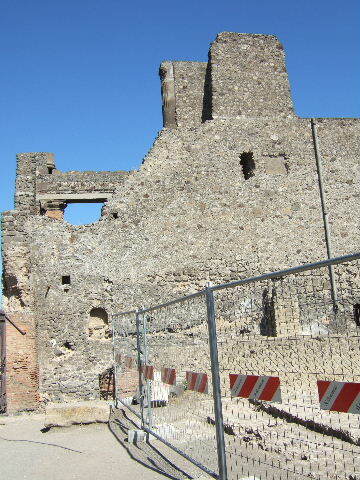 Looking north to entrance and Vesuvius, from south-east corner. 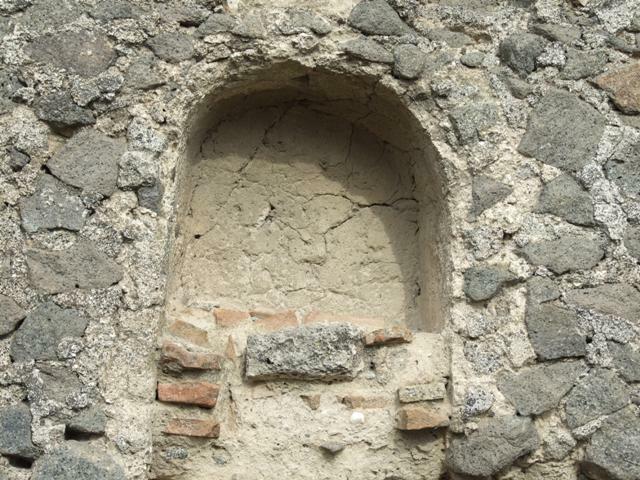 VIII.1.3 Pompeii. W.1607. 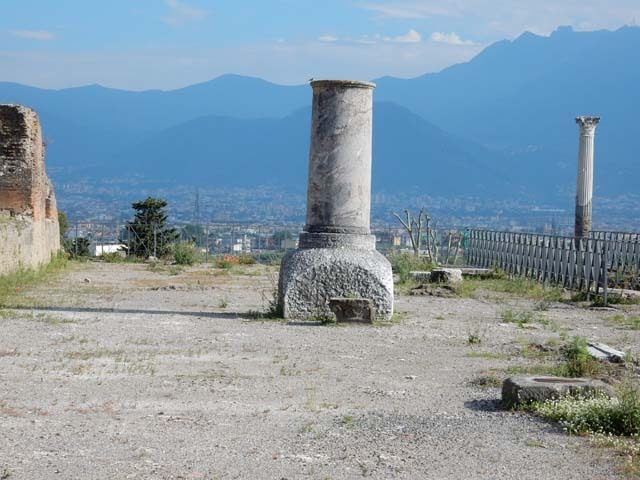 Column in Temple of Venus, looking north-east. VIII.1.3 Pompeii. May 2015. 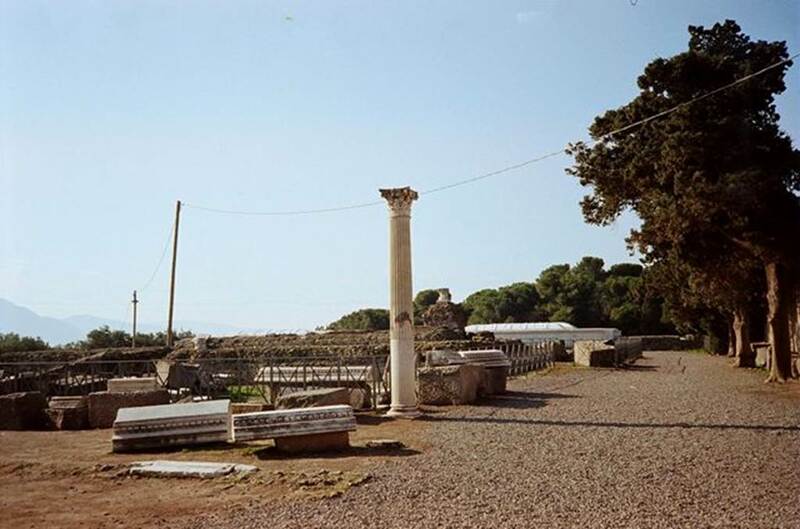 Looking south across the Sarno plain, from Temple of Venus. VIII.1.3 Pompeii. September 2005. Looking south from north-east corner. 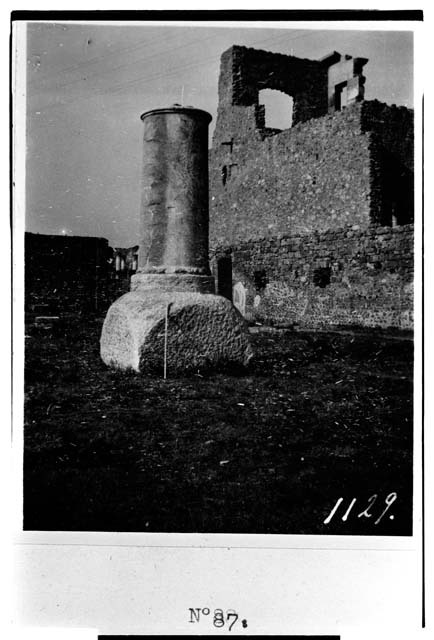 According to Carroll, the white “monument” at the south end was an unfinished column of limestone for a votive offering. This was brought in and worked on after 62 AD. 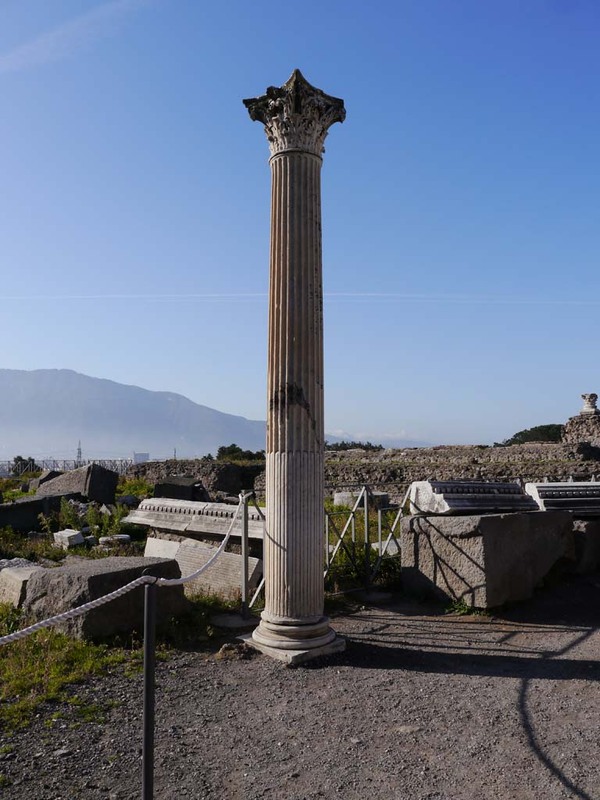 See: Carroll, M. (2010): Exploring the sanctuary of Venus and its sacred grove: politics, cult and identity in Roman Pompeii. In: Papers of the British School at Rome 78, (2010) pp.63-106. VIII.1.3 Pompeii. September 2005. Looking south from the north-east corner. 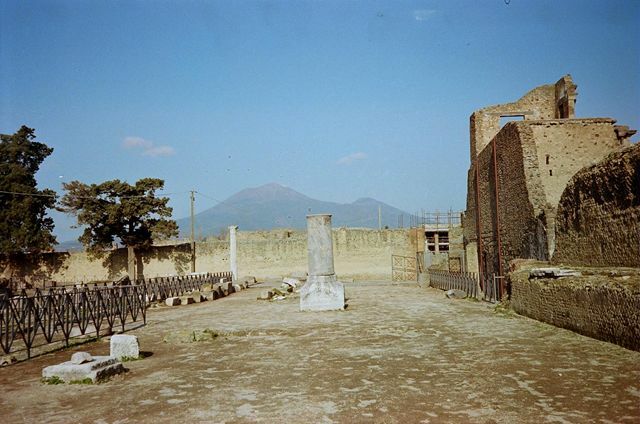 VIII.1.3 Pompeii. December 2007. North-east corner, looking south.